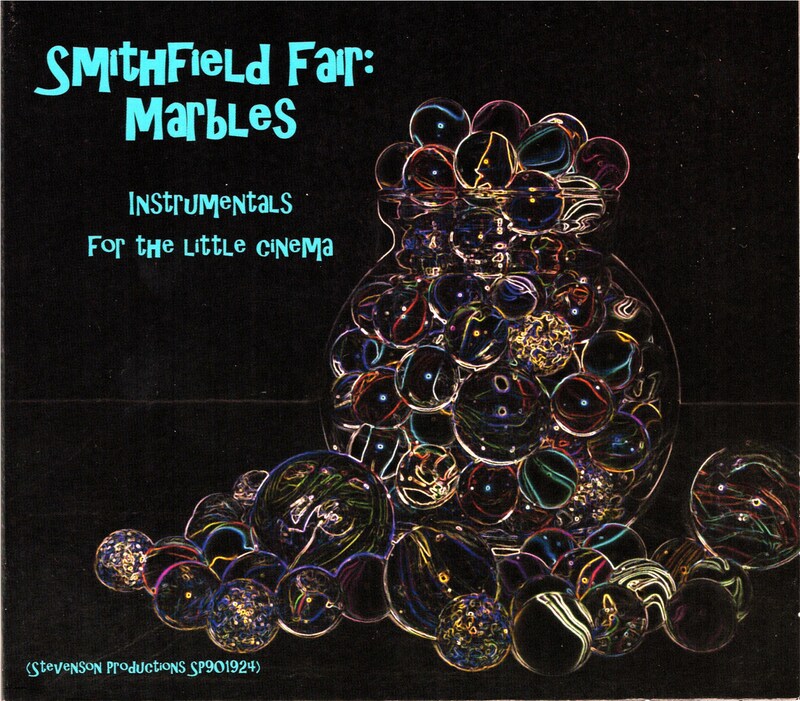 The culmination of decades of inspired musical compositions for various imaginative projects - themes for web shows and radio programs, videos, commercials, and works for films on short topics straight from the mind's eye - Marbles gathers 25 instrumental pieces in a collection that exudes joy, introspection, reminiscence, whimsy, conjecture and observation. Some of the works have been previously released in various forms, while many are premiered here. Composed by Jan and Dudley-Brian Smith, the collection includes solo piano and guitar works, as well as various ensemble of Smithfield Fair members throughout the years and focused largely on the accordion and guitar pairing indicative of the group's sound. Performed by Jan Smith (accordion, piano, bells, vocables), Bob Smith (acoustic bass, percussion) and Dudley-Brian Smith (acoustic 6 & 12-string guitars, mandolin, harmonica, autoharp, recorder, percussion, vocables), with percussive assistance from Frang Bladen, Merel Bregante and David Praet. Tugg the Bull Terrier (dbsmith); Jar of Marbles (Jan & dbsmith); Stick, Brick & Mortar (dbsmith); Snow Child (Jan Smith); Suite: Whimsy - Of Dustbin Fairies, Tilliwok, Hope's Outer Edge, The Current Current (dbsmith); The March of Time (Jan Smith); Hauling Angus (dbsmith); Doon the Rushy Glen (Jan Smith); The Scent of Pencil Shavings (dbsmith); Midwinter Awakening (dbsmith); Sheep in the Road (Jan Smith); A Fearful Child (dbsmith); Swept Away (Jan Smith); An Ancient Tune (dbsmith); Jewel Found (Jan D. Smith); Perseverance (dbsmith); Kicking Frang (dbsmith); Roots of Tweed (Jan Smith); Separate Rockets (dbsmith); Nutmeg's Wellys/Piper's Plaid (Jan Smith); Summerville Airfield (dbsmith). Produced by Jan & Dudley-Brian Smith & J. David Praet.